It is death by a thousand cuts — the small injustices that add up, one after another. It’s the cruel nurse, the rude admitting staff, the names called out of a passing car. For the thousands of African refugees living in South Africa, it’s a fact of life. 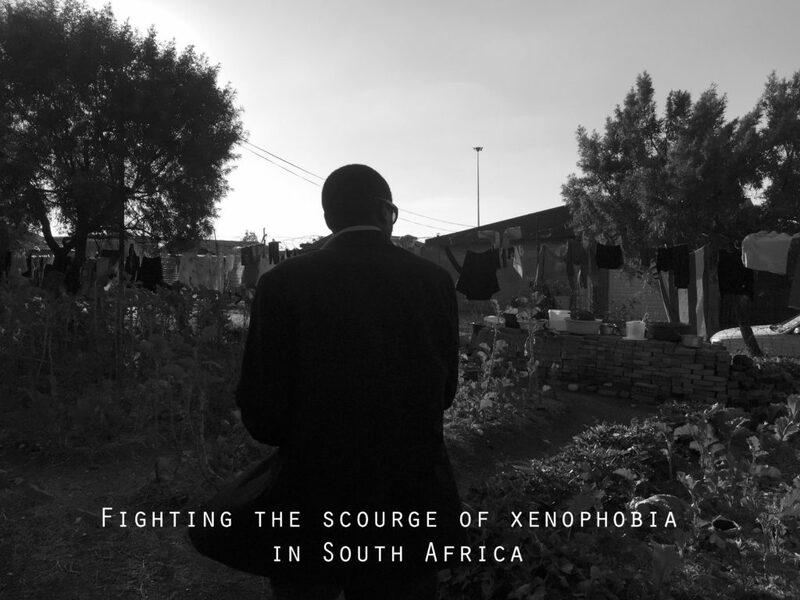 It’s hard to describe South Africa’s relationship with xenophobia. The country in its current political form is two decades old, having somehow emerged from living under the yoke of apartheid. 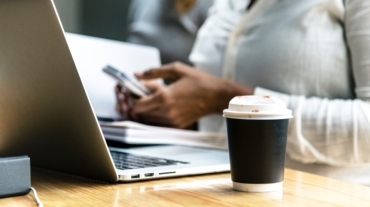 Unemployment is at a staggering 28%, mostly affecting young South Africans. At the same time, South Africa accepts more refugees than any other country in southern Africa, and has one of the more liberal refugee laws. Uber drivers are often from Zimbabwe, and they’ll tell you that they came to South Africa because of the chaos back home. There are more jobs here; the standard of living is higher. Politics may be messy in South Africa, but not as messy and dangerous as they are in Zimbabwe. Plus, they can support their extended family financially, as well as visit them regularly. Refugees come to South Africa from across the continent. They flee places like Somalia, the Democratic Republic of Congo and Mozambique to find a semblance of stability. Rohan Dadoo, regional advocacy officer at the Consortium for Refugees and Migrants in South Africa, is worried because there are proposed amendments to South African refugee laws that would make it more difficult for immigrants to work and open a business. Refugee reception offices are also closing, while also making it difficult for refugees to re-register, which they need to do every few years. It’s not easy an easy process. People line up at the offices, often sleeping outside as they wait to be seen. A refugee reception center in Port Elizabeth was closed in 2011; it should have re-opened by a court order, but it remains shuttered. “People stay as asylum seekers for years,” Dadoo said. At a Methodist church in Soweto, the massive township on the outskirts of Johannesburg, mattresses line the wall in the men’s dorm. A small room sleeps seven or eight. A nook down a hallway has bunk beds stacked with a tiny amount of space between them. Privacy is achieved by hanging cloth wherever you can place it. It’s extremely noisy, and there’s nowhere to store your things. Besides, it’s more than likely that you only have few belongings, anyway. Unaccompanied minors stay in another building; there are 55 of them right now. Some families share small accommodations. The smell of cooking fish and the southern African polenta known as pap emanates from a nearby kitchen. People often cook food from back home, and greens and herbs for traditional dishes are grown wherever there’s a bit of dirt to accommodate them. Agostino Maïzena didn’t come to South Africa by choice. 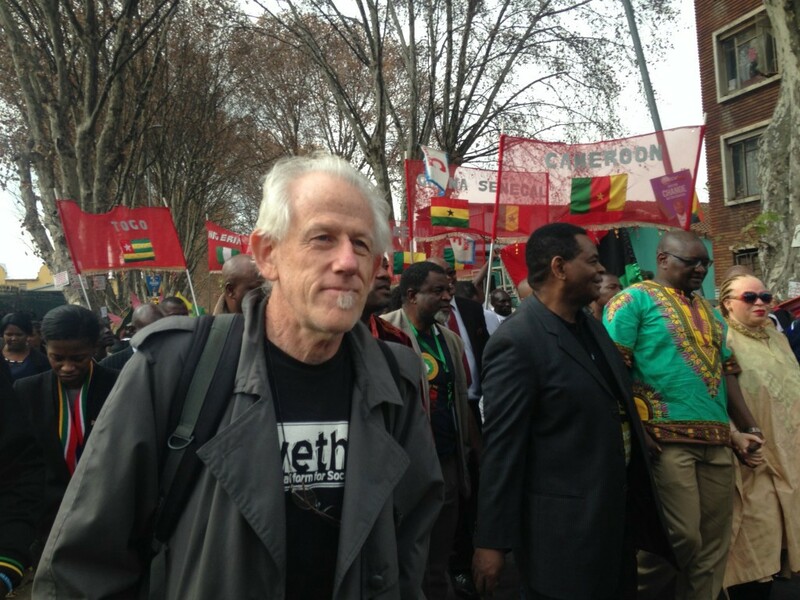 He was a local politician in Zimbabwe and a member of the country’s main opposition party. One day he was abducted while walking home. All he remembers of the kidnapping itself is the pain inflicted on him; later, he could recall his tormenters demanding to know how he managed to get elected. His left foot still hurts from the beatings, Maïzena says. He has a barely imperceptible limp, though he likes to joke it looks like a fancy walk to people who don’t know him. He thinks his feet were beaten with planks with nails in them, but it’s hard to recall all the terrible details. Maïzena’s kidnappers also injected some form of poison of chemical in him, which he says left his nails brittle and discolored. The rest of his body has scars, but he declines to show anyone. His sight has become poor because of the poison or some form of chemical burn — his doctors aren’t exactly sure. His eyes no longer produce tears, so he carries a handkerchief and prescription eye drops at all times. “I thought that would be the end of my life,” Maïzena recalls. After three weeks of imprisonment and torture, he was abandoned unconscious by the side of the road. Eventually, friends smuggled him to South Africa. Paul Veryn, a local bishop, is the reason Maïzena has a home, as he’s been unable to hold down a job because of his immigration status and health condition. 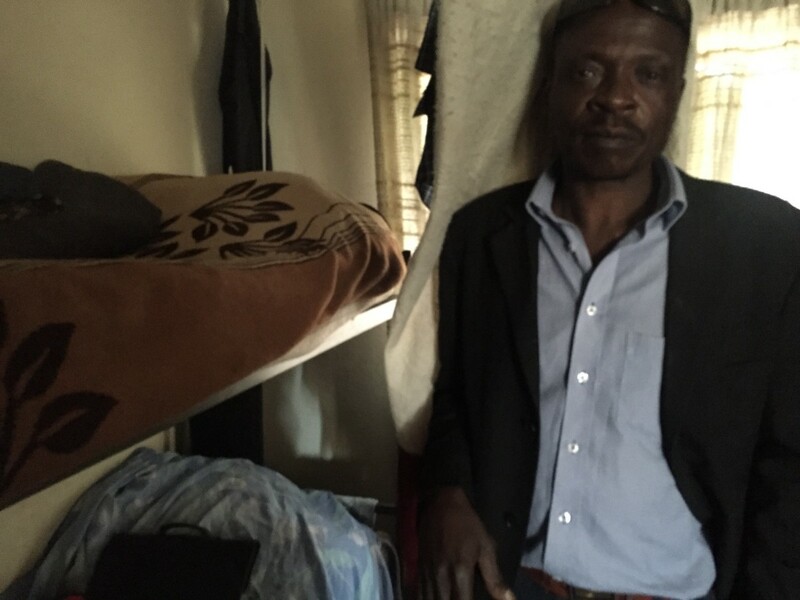 Maïzena would love to go home, to his two sons who miss him, but he says he’s in fear for his life. He’s become somewhat paranoid, worrying about agents listening in on him. But he’s been followed before, he says, so perhaps some of his paranoia is warranted. Despite the xenophobia he experiences in South Africa, it pales in comparison to what happened to him back home in Zimbabwe. Maïzena says he’s become used to the taunts, the chants of makwerekwere — a derogatory term for foreigners living in South Africa. Agostino Maïzena stands at his home in Soweto, Johannesburg, South Africa. As he walks through the sprawling compound that also hosts a church and community center, he switches between languages to say hello to those who live nearby. Most are from Zimbabwe, but there are a few people from the DRC and Mozambique as well. For Maïzena, the frustrating part is that he’s been waiting years for documentation. He had to risk going back to Zimbabwe in 2014 to get a new passport, but he came right back to South Africa. Like many refugees, he’d actually like to go to a third country. Perhaps the US or Canada, he says. But if he can’t even get settled in South Africa, it’s pretty much an impossibility. Rohan Dadoo, the refugee and immigrant advocate, hears stories like Maïzena’s and shakes her head. It was supposed to get better. In 2008, xenophobic riots that made headlines across the world seemed to spur a movement toward change. A committee was set up by the government to look at xenophobia, but they did little to improve the situation. Immigrant-majority neighborhoods were completely locked down, while areas in central Johannesburg experienced mass arrests. Immigrants were sent to displacement camps, some eventually transported to Lindela, a detention center near the border with Zimbabwe. “They didn’t do anything else,” Dadoo laments. 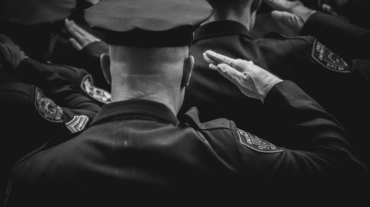 After that, the government committee began investigating violence in immigrant neighborhoods, but focused on crime rather than anti-immigrant xenophobia. “They were very xenophobic in themselves,” Dadoo says. Then there’s the complicated matter of what happens government policies change abruptly. 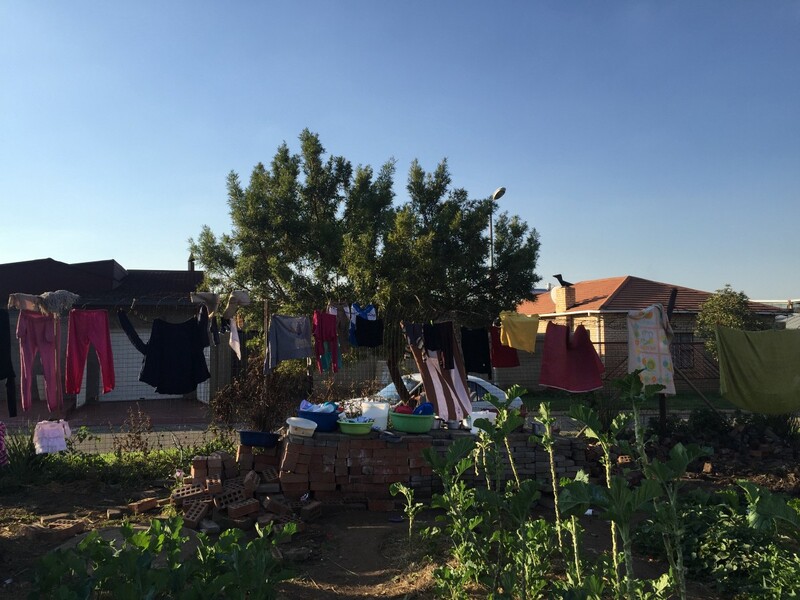 There are approximately 2,000 Angolans living illegally in South Africa because Angola had its refugee status discontinued in 2013, requiring all Angolan refugees to head home, despite troubling conditions there. Many of these Angolan refugees had set up lives in South Africa, and their children considered it the only home they’d ever known. A similar problem will soon befall many Zimbabwean refugees, as the South African government is allowing their refugee permits to expire in 2017. Life as a refugee in South Africa fits a pattern often seen in countries with fragile economies. In this particular case, the country began taking in refugees after the fall of apartheid, but with limited resources to support them. They arrived and set up shop, often supporting each other’s businesses, while their South African neighbors struggled to support themselves. Animosity brewed; rumors flew. The relationship between refugees and many South Africans is rife with distrust. Mgcini “Erick” Ndlovu grew up in one of these townships. He’s a driver for Doctors Without Borders and wants to help youth in townships avoid crime. He thinks that hunger — for food, for jobs, for a better life — is the driving force behind xenophobia. 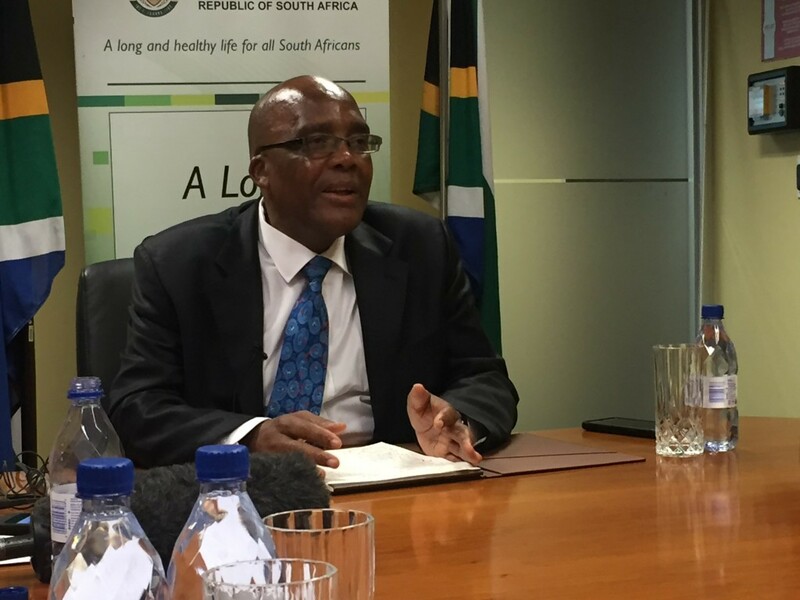 Health Minister Aaron Motsoaledi denies that any issues are happening. He said healthcare problems is a symptom of a larger issue within South Africa’s healthcare system, not a particular prejudice. Refugees are flooding the healthcare system, he said, citing stories he’s heard from his home province of Limpopo and other areas that the majority of patients from Zimbabwe are here to receive free healthcare. “We don’t want to talk about this publicly because South Africa is accused of xenophobia, but we are treating lots and lots of people,” he said. He has a couple theories about xenophobia. One is that South Africa has always had an “othering” problem — the apartheid-era separation between whites, blacks and other ethnic groups extended within black communities, too. “The fact is that black migrants from Africa haven’t been allowed until recently,” Smithers says. At an Africa Day event in May, Premier David Makhura of Gauteng, the province that includes Johannesburg and Pretoria, said there must be progress in combating xenophobia. There is indeed progress. Activists like Smithers and Dadoo are hopeful that a proposal known as The National Action Plan to Combat Racism, Racial Discrimination, Xenophobia and Related Intolerance will succeed. “The action plan is mean to supplement existing laws, to help build a non-racial, non-sexist society based on the values of human dignity, equality and the advancement of human rights and freedom,” South Africa reported to the United Nations in early August. It was submitted to the parliament in June, followed by a period to submit public comments. However, the report to the UN denied any government liability in xenophobic attacks. The report later went on to admit there was much to do about migrants and human rights in South Africa. 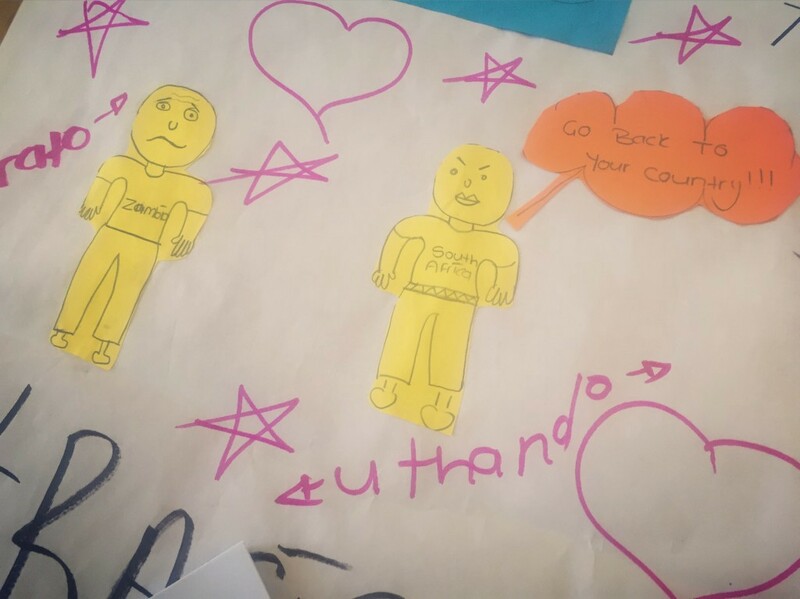 Reported.ly’s Kim Bui visited South Africa and Lesotho on a fellowship from the International Reporting Project.